You mean I can’t have my favorite local pizza ever again? Possibly, this same question came across your mind within moments of realizing you are indeed gluten intolerant. But as with many of the other great foods you thought you could no longer eat, you find alternatives to still enjoy your favorites. So, you can search “gluten free pizza” on Google Maps and you might find a gluten free pizza in the city closest to you. However, if you’ve also gone “dairy free”, your choices become limited. You could call and ask if the shop’s dough is also dairy free, but that means that you would have to get a cheese-less pizza. 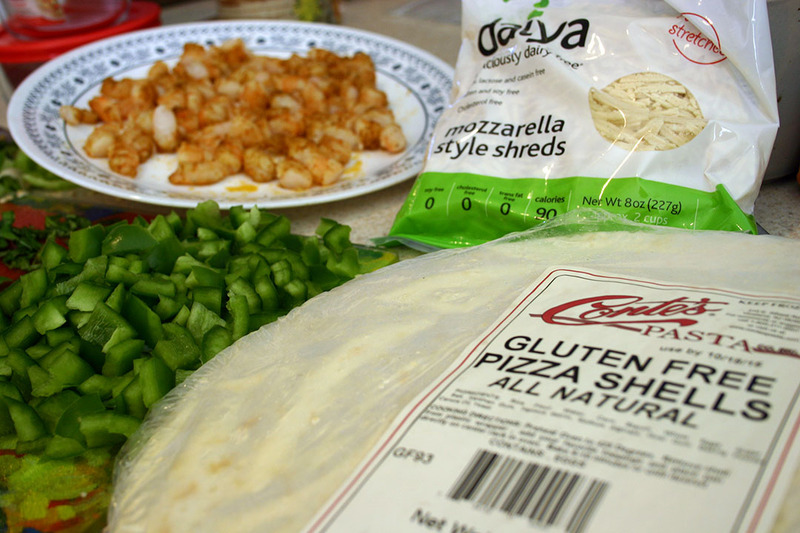 Taking the next step, you see pre-made pizza crusts in your gluten-free frozen-food section. Again, you have to be aware; does this brand make their crust with milk? But maybe you want that pizza parlor crust and not the typical freezer stuff. Click the link and visit the Minimalist Baker’s site for guided instructions. Please note that the pizza dough recipe creates 1.5 pizzas. Do not use the dough to make one thick pizza. 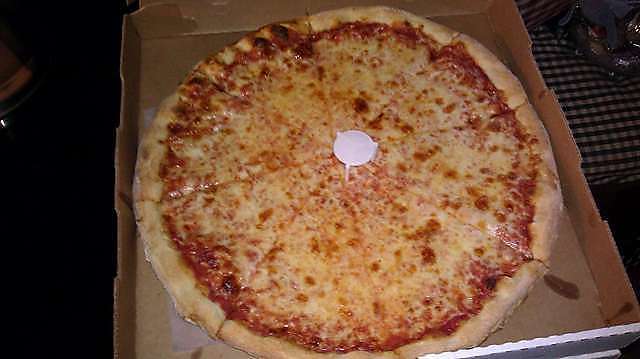 (Instead, I create one large pizza and then a medium sized one. The pizza does keep well in the fridge!) That being said, the trick to a Gluten Free Pizza is the thickness of the crust, it should be thin! Want another trick for a phenomenal gluten free pizza? It’s all in the toppings. Think: Gourmet! 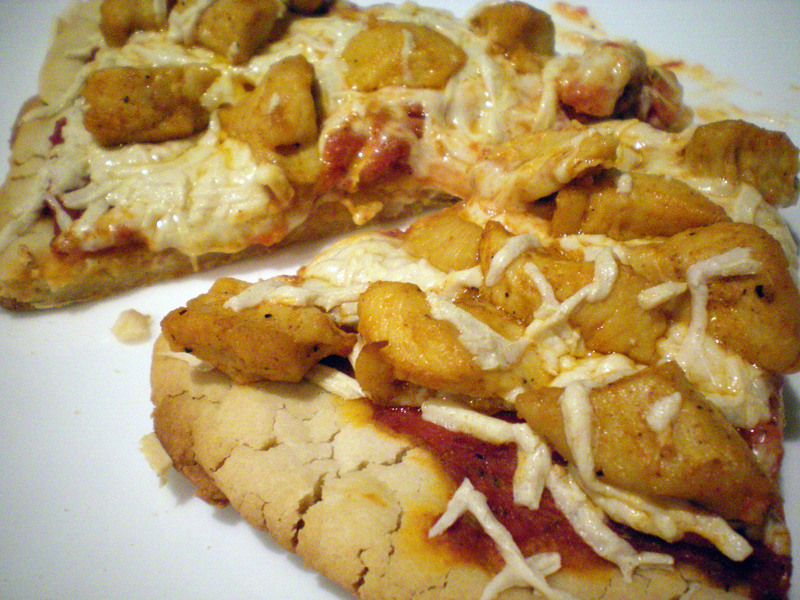 To date, I have made a Cajun Shrimp Pizza, a Buffalo Chicken Pizza and a Cajun Chicken Pizza. For any of these pizzas you will need sauce and cheese. For the sauce, I use plain pizza sauce and season it myself. Always check the ingredients list for allergens on any store bought item! To season the sauce I add equal parts of garlic powder and oregano. Use any leftover sauce for your family’s raviolis or your gluten free pastas. 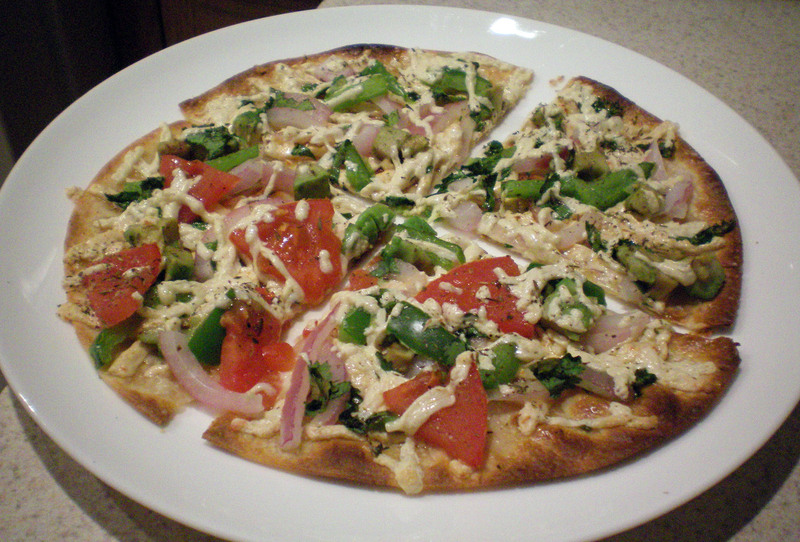 After you create and cook your dough, add the sauce, coat with shredded (dairy free) cheese and your favorite toppings. I have relied on Daiya Dairy Free Cheese with no problems! 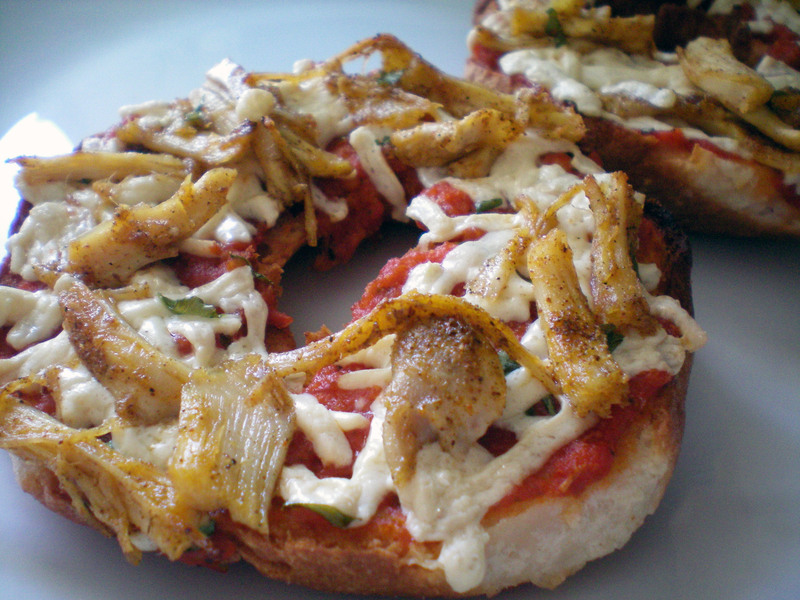 If all of this seems like too much work, check out my simple recipe for a Gluten Free Pizza Bagel below. I can assure you though, it’s not as big as a project as it seems! Add the hot sauce to your sauce mix. Clean, peel and devein the shrimp. Combine the first four ingredients into a small bowl. Once marinated, cook the shrimp in a large skillet over medium-high heat, turning once, until the shrimp are opaque. Transfer the shrimp to a plate to cool and chop into bite sized pieces. 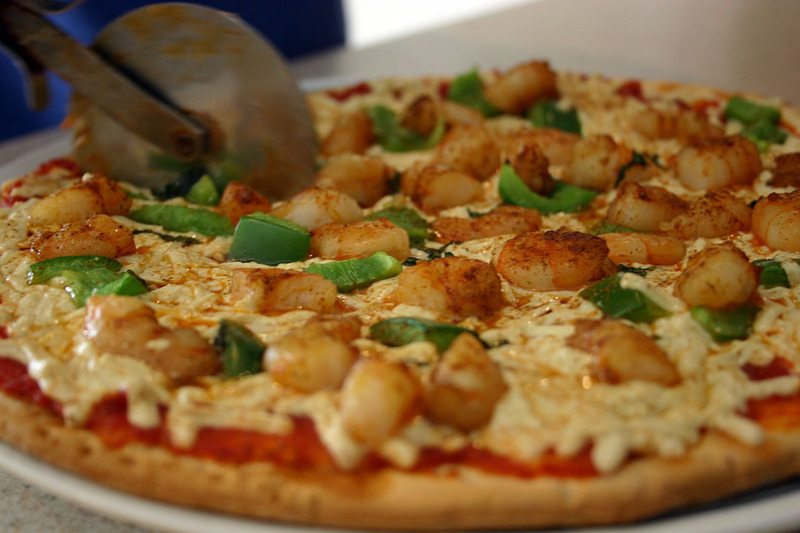 Coat your pizza with the shrimp and chopped peppers. Sprinkle the pizza with extra Cajun seasoning if desired. Add the butter or oil to a large skillet and heat over medium heat. Add the chicken and all of the spices and cook until the chicken is no longer pink. Add the wing sauce and stir and cook the chicken for a few more minutes. Add this topping to your pizza. Heat a medium pan, with the butter or oil, over medium heat. Add the chicken breast and sprinkle with the Cajun seasoning. If you’d like, you can cover the chicken while it is cooking. Cook the chicken for about 5 minutes per side, sprinkling more seasoning once flipped. You’ll know the chicken is done when the juices run clear and the meat is no longer pink. Remove the chicken from the pan, shred the meat and then add the shreddings to your pizza. Create any kind of pizza you like! Maybe you’d prefer a vegan pizza with some yummy zucchini! Possibly, you’re the pineapple and bacon type! It’s the perfect time to be creative! Making a homemade pizza is a lot easier than I had ever imagined! The gratifying taste is like none other! You will need to have 3 particular flours on hand, but shop around to find the best prices. You will get multiple pizzas out of your flours! Always store your flour in the fridge. For a quick lunch I sometimes make a personal pizza. I bought the Gluten Free Udi’s Bagels so I could enjoy a breakfast sandwich along with my boyfriend. However, I wasn’t all that fond of the consistency and taste. It was alright, but nothing spectacular. Luckily, I think I found the perfect outlet for this bagel. I found its way to shine! Toast your bagel, preferably in a toaster oven. While the bagel is toasting, warm the pizza sauce in a small bowl in the microwave (it doesn’t take long). Mix the garlic powder and oregano into the sauce. Coat the bagel with the sauce. Add some shredded cheese and toppings. Set the toaster oven or oven to broil and melt the cheese of your mini pizza. This recipe is pretty self-explanatory, but I thought it was important to share that the Udi’s Bagels make great mini pizza crusts! Enjoy! Since posting these recipes, I have discovered another quick and yummy way to enjoy pizza! I saw Hayley Hobson‘s Vegan Recipe: Mexican Pizza on MindBodyGreen.com, and it got my creative juices flowing. Rather than making my tortilla from scratch, I made a gluten free short cut and used a brown rice tortilla. Find them in the freezer section at the health food store and in the gluten free freezer section at your local super market. Also, Hayley made her recipe super healthy by using black beans and making her own vegan cheese. Again, I turned QUICK for the short cut and used Daiya Cheese. Here we go! This pizza cooked just fine in my toaster over. Just make sure your tortilla fits the oven’s tray! Begin by thawing the tortilla. A frozen tortilla will thaw best naturally, on the counter. They do not thaw well in the microwave! Give yourself time to thaw! Heat some coconut oil in a frying pan that is large enough for your tortilla. Medium heat should be good. Flip the tortilla in the oil to coat both sides. Heat the tortilla over the heat until it begins to harden a bit. Place your tortilla on a large plate. Take the tray out of your toaster oven and turn the broil setting on. Cover the tray with foil and put your tortilla on the tray. Evenly coat the tortilla with all of your veggies. Spread the cheese shreds on top, followed by the cilantro and oregano. You can spread the toppings so they come up to the edge, to keep the crust from burning. Broil your pizza so that the cheese is melted. Keep your eye on the crust so it does not burn! Carefully remove your pizza from the oven and squirt some lemon and lime juices on top.